2018 was the year when C2E became crystal clear about our self sustaining strategy and income stream to fund our outreach programs. C2E invested 6 years of dynamic research and development, achieving great community building and generating a tangible, practical and effective Well-Being Model. Once we had clarity about our specific message regarding our regenerative wellness method, C2E’s fundraising tactics found their way to grow our outreach program’s budget. By serving film producers as Fiscal Sponsors, projects engaged in proliferating education about one of our 6 pillars within C2E’s Well-Being Model, the project’s benefactors get 501(c)3 tax exemption benefits and contribute to regenerative wellness’ global education through media and C2E’s outreach programs to the populations the films address. Board Member Kumiko Hayashi, was the bridge to two film projects that were produced with C2E’s Fiscal Sponsorship. Kumiko’s own The Roots Awaken 2.0, and Deborah Anderson’s Women of the White Buffalo. Hayashi’s first version of The Roots Awaken was C2E’s first film screened in our Time Shift film screenings in Los Angeles and Joshua Tree that took place in 2017. The screenings included a Cacao Ceremony lead by Mayan Calendar keeper José Muñoz, who also felt the call to be part of C2E’s Board of Directors along with Kumiko. In 2018 C2E received $167,000 dollars in donations for the development of these film projects. The Fiscal Agent fee charged by C2E has created a cash flow which now funds our outreach program’s budget and are able to provide the education and empowerment to the under served populations the films address. 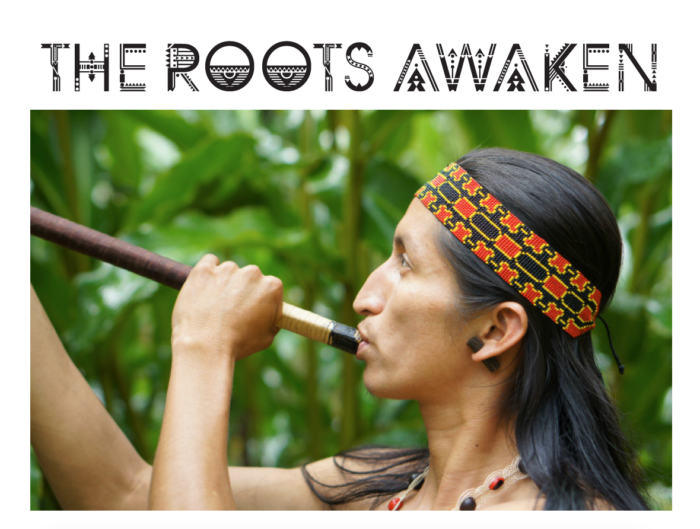 The films we currently sponsor helped us focus on a specific demographic: the indigenous population represented in the films, and we began the Trusted Global Exchange program with the Ecuadorian Amazon territory of Sarayaku, a community that had been featured in Kumiko’s The Roots Awaken. We are further developing the Trusted Global Exchange program in 2019, in order to be ready to take a similar model to the Lakota Nation’s Pine Ridge Reservation in South Dakota, featured in Deborah Anderson’s Women of the White Buffalo. In 2018 C2E also became allies with Rob Ortiz and his production company UnderD’Radar, responsible for the most dynamic, smart, and empowering youth Film Festival in the America’s: Festival Ponte Los Cortos (Put Your Shorts On Festival), hosted in the island of Puerto Rico. Watching the Festival evolve for the past 5 years, C2E leadership has witnessed how this career development program has tapped into the greatest potential the island has for its recovery after Hurricane María: the passion and creativity of young people on fire to bring the island out of it’s difficult state of affairs by sharing their stories and becoming savvy entrepreneurs of their craft. Rob Ortiz, came up with the name of Media Funding Lab when C2E’s Founder proposed they worked together on fomenting this rich landscape of talent on the island. Media Funding Lab (MFL) will provide Fiscal Sponsorship to Media Projects that can meet the criteria based on C2E’s 6 Pillars of Well-Being. The Lab will also facilitate opportunities to young media creators and alumni of Ponte Los Cortos to work with mentorship on our Sponsored film productions. For example, if Fiscal Agent project, The Roots Awaken 2.0, needs graphic designers to make the film’s poster, or editors to cut a preview, or musicians to do the soundtrack, the Lab calls Rob Ortiz to source members of his new type of agency. Media Funding Lab will also provide mentorship to production teams on co-creative practices to foster the practices of resourceful integration and heart based collaboration in order to make the production experience stress free, healthy and fun. This mentorship will be provided by Living Co-Creation, a member of C2E’s Social Enterprise Network (SEN).